At Ladybird Diner in downtown Lawrence, Susan McCarthy was perusing the newspaper Thursday morning, trying to keep up with the latest news on the college basketball corruption trial underway in New York. 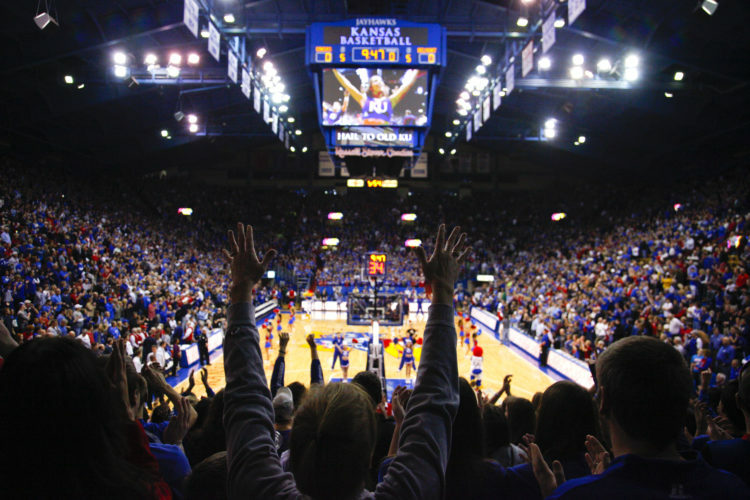 A devout KU basketball fan, McCarthy has had season tickets for decades. 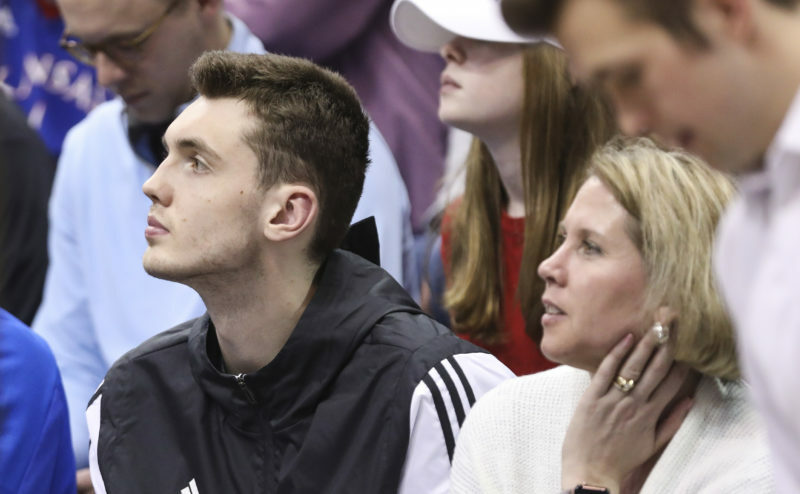 But at the moment, she is practicing tough love with her team, which has been in the news for several weeks during the federal trial for former Adidas representatives implicated in a college recruiting scandal. 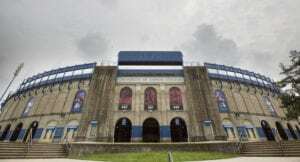 KU basketball fans are working at coping with their emotions right now because their identity as fans is threatened, said Dan Wann, a professor of psychology at Murray State University in Western Kentucky. Wann was the guest lecturer at KU on Wednesday evening, as part of the third annual Mawson Scholar Speaker Series. His book “Sports Fans: The Psychology and Social Impact of Spectators,” was just released. They will tell themselves, “We are not as bad as so-and-so; maybe we broke a few rules, but not the big rules,” Wann said. Now that the trial has forced national attention on big-name shoe companies such as Adidas paying a player’s family to send their athlete to a certain university, McCarthy hopes all teams will deal with the issue. “I hope it’s not pushed under the rug but the NCAA confronts it,” she said. Around town, other KU basketball fans were searching for scapegoats. At Jock’s Nitch Sporting Goods, 837 Massachusetts St., where you can turn in any direction and spot a Jayhawk, Conner Riley was hanging some new KU apparel. 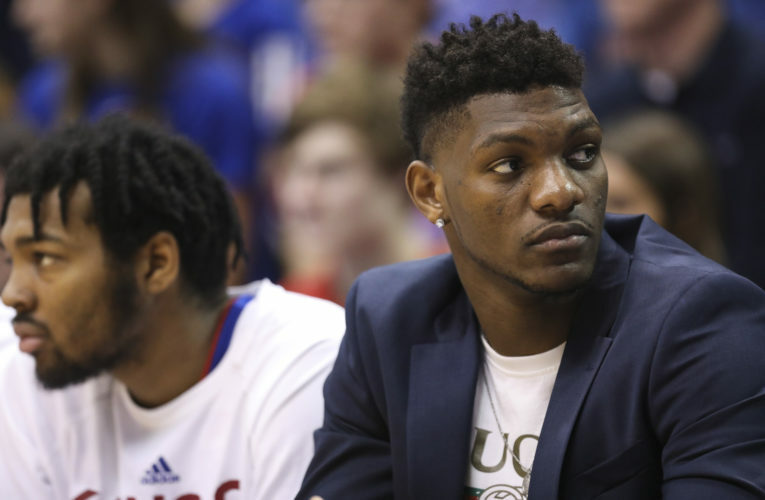 The KU junior says he’s a basketball fan and accepts the way players are recruited. What’s important to him is that the players are treated right. “When they go on to the NBA, I hope they’ll reflect positively on their time here,” Riley said. Stepping into Rex Porter’s Stadium Barber Shop, 1033 Massachusetts St., is like walking into a shrine for KU athletics. Customers sit in crimson and blue chairs, jerseys from various sports cover the walls and ceiling, and athletes stop by for haircuts. Porter, wearing an Adidas windbreaker, said he believes all college basketball teams are victims in the basketball corruption trial. “We are in this world of shoe companies offering so much money to the kids,” Porter said. Across town, Andy Vigna, owner of Stoneback Appliance, 925 Iowa St., also wasn’t interested in rumors. “Our coaching staff hasn’t done anything wrong. It’s just hearsay. 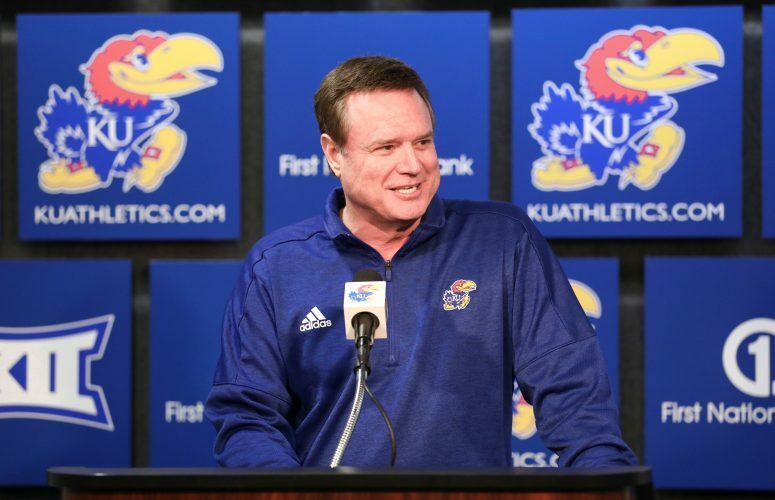 I have complete faith in our basketball program, and I’m proud to be part of the Jayhawk family,” Vigna said. 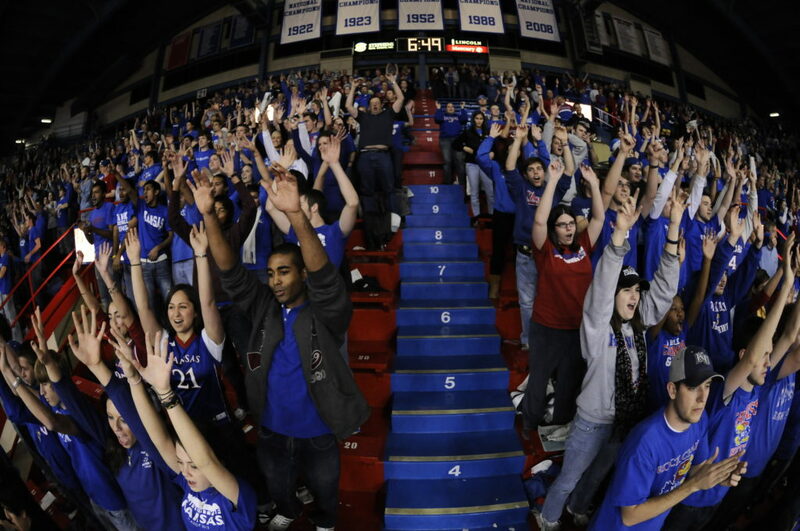 Omri Gillath, professor of psychology at the University of Kansas, is a devout KU sports fan. Plus, he understands the psychology of being part of the in-group. The in-group is not just sports teams; it can involve being part of a race or political party. While people want their sports to be clean and pure, at the same time they will justify their team’s behavior, Gillath said. He said “basking in reflective glory” is when your team is winning and you feel everything is great. However, on the negative side, when your team is under attack, you experience it as a threat to your sense of self. Martin Watson, a devoted KU fan, is the owner of Watson’s Barber Shop, 925 Iowa St., where many of the basketball players come for haircuts. Sometimes Watson and his staff will go up to campus to offer cuts to the team. 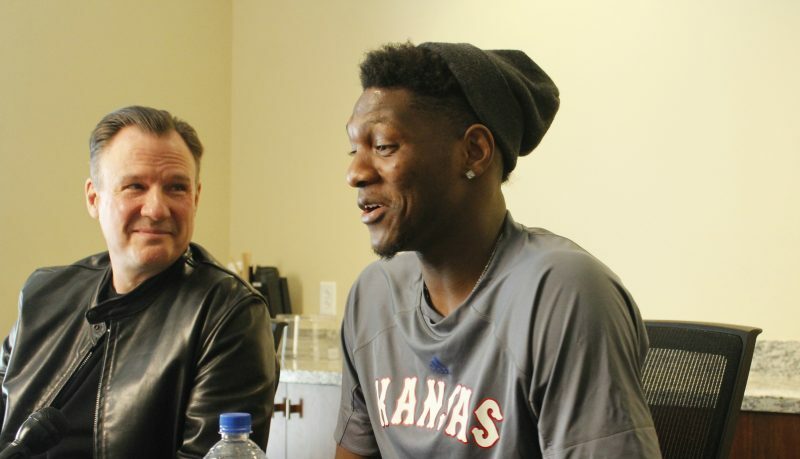 Lawrence and KU basketball are synonymous for Charles Cornwell, who works in maintenance on the KU campus. He grew up in Lawrence and remembers his dad taking him to Hoch Auditorium to watch games. He watched such basketball legends as Clyde Lovellette and Wilt Chamberlain play. The current events don’t come as a surprise to him.